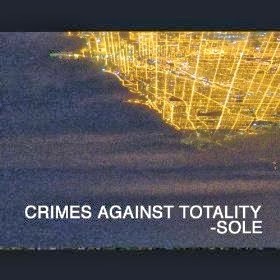 Sole - Crimes Against Totality (2013) Out now! Sole releases his brand new solo album, entitled "Crimes Against Totality", through Black Canyon Recordings. The album consists of 12 tracks. This is the third and final release in Sole's "Ruthless Criticism" trilogy. Check out the new track "In the Caddy/May Day (Remix)" from Nametag & Nameless's new album "For Namesake-Redo" out now on Brick Records. Check out the new track "Reaction" featuring Miz Korona, from Nametag & Nameless's new album "For Namesake-Redo" out now on Brick Records. 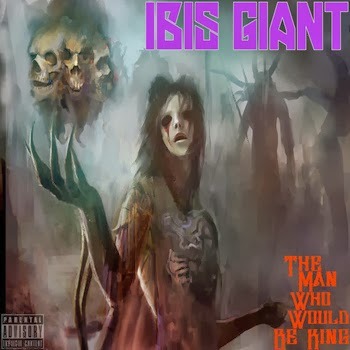 Ibis Giant - The Man Who Would Be King (2013) Out now! The brand new EP by Ibis Giant is now out on Revolt Motion Recordings. The EP consists of seven tracks, and offers guest appearances from artists such as: Naja Gemini aka Ibis Giant, and Morbski aka Ibis Giant. Josh Martinez - Blotto (2013) Out now! 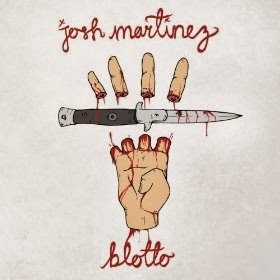 Josh Martinez releases his brand new album, entitled "Blotto", through Camobear Records. The album consists of 13 tracks, and offers guest appearances from artists like: Ceschi, Evil Ebenezer, Sapient of Sandpeople, and Stevie Ross. Productions from: Sapient of Sandpeople, and Stuey Kubrick. 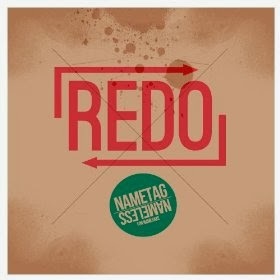 Nametag & Nameless - For Namesake-Redo (2013) Out now! Nametag & Nameless releases "For Namesake-Redo", through Brick Records. This album consists of some new tunes, and remixes from the early 2013 release "For Namesake". The album consists of 12 tracks, and offers guest appearances from artists such as: Miz Korona, Red Pill, Jahshua Smith, Mahd, and Black Milk. Lone Ninja of Twin Perils - Trapdoors & Secret Passageways (2013) Out now! Lone Ninja of Twin Perils releases his brand new solo album, entitled "Trapdoors & Secret Passageways", through Holographic Pagoda Recordings. 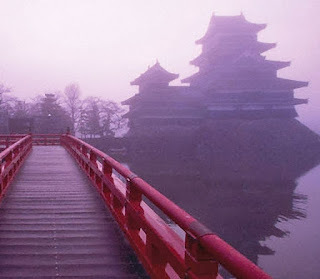 The album consists of 12 tracks, entirely produced by 5 Element Ninja aka Lord Beatjitzu. "Earth Child" is taken from One Dae's brand new album "Daes & Times" out now on Coalmine Records/Daelight. "Abu Ghraib" From One Dae's brand new album "Daes & Times" featuring Sean Price of Heltah Skeltah! The new album is out now on Coalmine Records/Daelight. Check out the album article here on S-R-H-H's Blog for more information and purchase links. 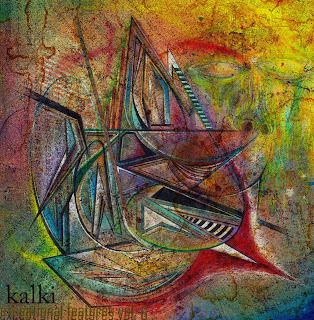 Check out "Borderline" from Kalki's 'Exceptional Features Vol. 6' out now on Revolt Motion Recordings. This track features Physikx and Ariel MC. Check out "Soul Seekers" From Kalki's 'Exceptional Features Vol. 6' out now on Revolt Motion Recordings. This track features Julius Oz'Iris, Bensalem, and cuts by Dee Jae Joon. DeeAre of Ascended Masters - Return To The East (2013) Out now! 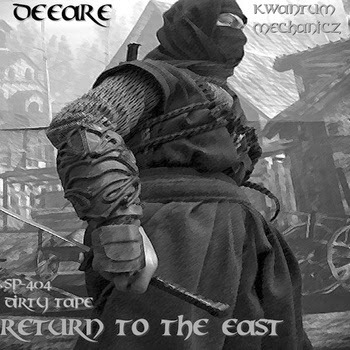 New instrumentals album by DeeAre of Ascended Masters, entitled "Return To The East", released through Revolt Motion Recordings, Kwantum Mechanicz, and Cane Corso Records. Blaq Poet - Blaq Death (2013) Out now! 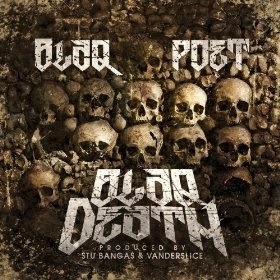 Another new release from the camp of Man Bites Dog Records: Blaq Poet's brand new album "Blaq Death", consists of 15 tracks, and offers guest appearances from artists such as: Vinnie Paz of Jedi Mind Tricks & Army Of The Pharaohs, Spit Gemz, Tragedy Khadafi, Celph Titled of Demigodz & Army Of The Pharaohs, Lateb of Heddshotts, Snak The Ripper, Blacastan of Demigodz & Army Of The Pharaohs, and Roc Marciano of U.N. Productions from: Vanderslice, Stu Bangas, and Green Steez. 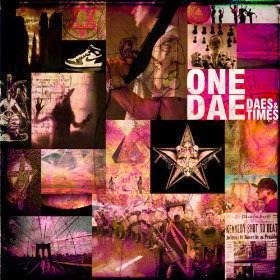 One Dae - Daes & Times (2013) Out now! One Dae releases his brand new album, entitled "Daes & Times", through Coalmine Records and Daelight. The album consists of 13 tracks, and offers guest appearances from artists like: Evidence of Dilated Peoples, DJ Dutchmaster, Statik Selektah, C-Rayz Walz, Dana Diaz-Tutaan, Sean Price of Heltah Skeltah, and Tsi La Brev. Productions from: Nova, Marco Polo, Domingo, JBL The Titan, M-Phazes, Ayatollah, P.A.W.S., and Analogic. Esoteric (of Demigodz & Army Of The Pharaohs) & Stu Bangas - Machete Mode (2013) Out now! 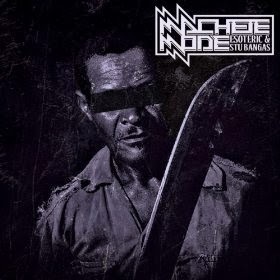 Esoteric of Demigodz & Army Of The Pharaohs and Stu Bangas is current with their brand new album, entitled "Machete Mode", released through Man Bites Dog Records. The album consists of 14 tracks, and offers guest appearances from artists such as: ILL Bill of La Coka Nostra & Non Phixion, 7L, Celph Titled of Demigodz & Army Of The Pharaohs, Apathy of Demigodz & Army Of The Pharaohs, Vinnie Paz of Jedi Mind Tricks & Army Of The Pharaohs, Planetary of Outerspace, Reef The Lost Cauze of Army Of The Pharaohs, Blacastan of Demigodz & Army Of The Pharaohs, Joell Ortiz of Slaughterhouse, Hindsyte, Madchild of Swollen Members, and Spit Gemz. Productions from: Stu Bangas. N.B.S. 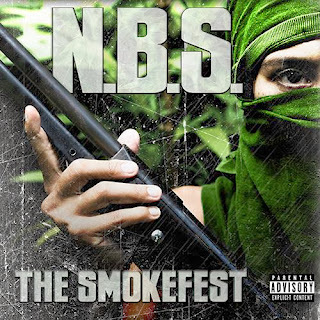 (Natural Born Spitters) - The Smokefest (2013) Out now! N.B.S. aka Natural Born Spitters is current with their brand new album, entitled "The Smokefest", through Big Bang Records. The album consists of 15 tracks, and offers guest appearances from artists such as: Ali Vegas, Bishop Lamont, DJ Grazzhoppa, Emilio Tirado, Michaela, Mickey Blakheart, Reks, Sharla Fabulous, Sicknature of Snowgoons, Slaine of La Coka Nostra, Smiley, Torae, and Tum Tum. Productions from: 75Crates, Alkota, Boradcast, DJ J Scrilla, Keenotherapy, Luka, Mac, Nikki Broadway, OMB, Quarantine, RockWheezey, Sicknature of Snowgoons, WMS The Sultan, and Y-Not. 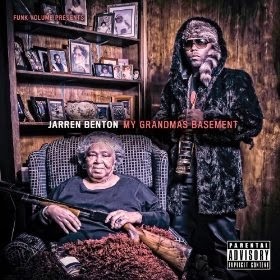 Jarren Benton - My Grandma's Basement (2013) Out now! Jarren Benton releases his brand new album, entitled "My Grandma's Basement", through Funk Volume. The album consists of 19 tracks, and offers guest appearances from artists like: Hemi, Planet VI, DJ Hoppa, Poodie The Byz, R.A. The Rugged Man, Mic Buddah, Vinnie Paz of Jedi Mind Tricks & Army Of The Pharaohs, Hopsin, SwizZz, Dizzy Wright, Pounds, and Elz Jenkins. Productions from: Kato, Spittzwell, Reckless Dex, Roc N' Mayne, The Kraken, M16, SMKA, and OH. 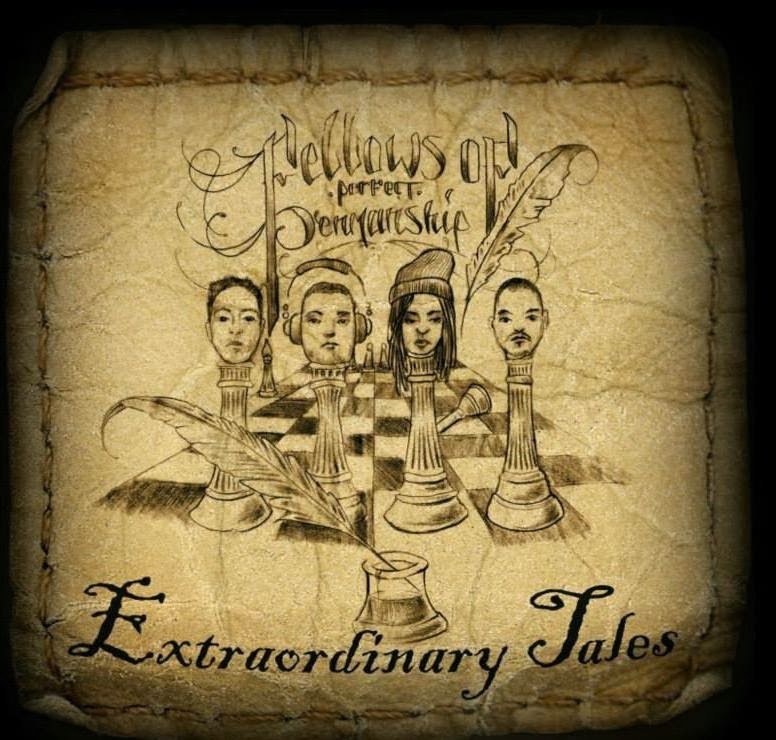 Fellows of Perfect Penmanship (Antony of Egypt/Kalki, Kyriel, InfoRed & Merky Waters) - Extraordinary Tales (2013) Out now! 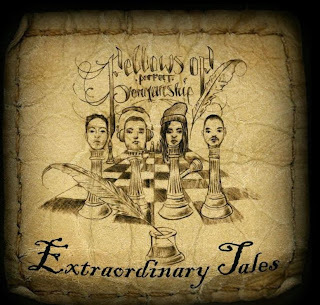 Fellows of Perfect Penmanship (Antony of Egypt/Kalki, Kyriel, InfoRed & Merky Waters) is finally out with their long-awaited album, "Extraordinary Tales", through Revolt Motion Recordings. The album consists of 16 tracks, and offers guest appearances from artists such as: Greg Ochitwa, Malfunction, S Best, Kalki, Thomas Roussin, Opus Oh, Pimpton, Wizwon, and InfoRed. Entirely produced by Merky Waters of Fellows of Perfect Penmanship. 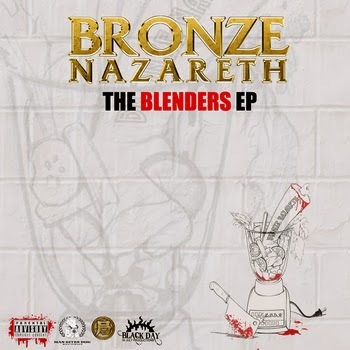 Bronze Nazareth of The Wisemen - Blenders (2013) Out now! Bronze Nazareth of The Wisemen releases his brand new EP, entitled "Blenders", through Man Bites Dog Records. The EP consists of 10 tracks, and offers guest appearances from artists such as: Boldy James, and Willie the Kid. Entirely produced by Bronze Nazareth. 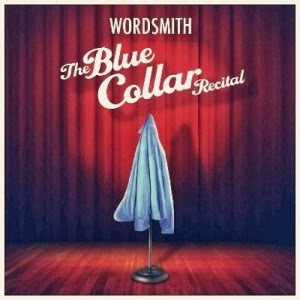 Check out "When Your Faith Is Tested" taken from Wordsmith's new album "The Blue Collar Recital" out now on NU Revolution Entertainment LLC. Check out "It's 5am Smell the Roses" Feat. Scott Griffin, taken from Wordsmith's new album "The Blue Collar Recital" out now on NU Revolution Entertainment LLC. 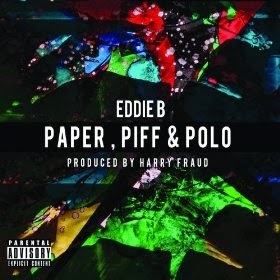 Eddie B W/ Harry Fraud - Paper, Piff & Polo (2013) Out now! Eddie B and Harry Fraud releases their brand new album, entitled "Paper, Piff & Polo", through Man Bites Dog Records. The album consists of 16 tracks, and offers guest appearances from artists such as: Roc Marciano of U.N., Sean Price of Heltah Skeltah, Termanology, Smoke DZA, Shabaam Sahdeeq of Polyrhythm Addicts, and Mistah F.A.B. Entirely produced by Harry Fraud. 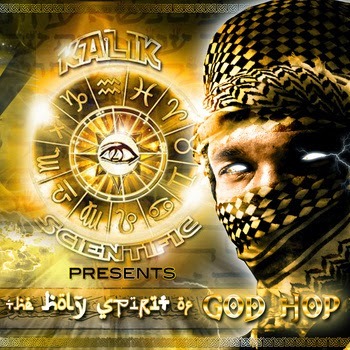 Kalik Scientific - Holy Spirit Of G.O.D H.O.P (2013) Out now! Kalik Scientific is current with his brand new album, entitled "Holy Spirit Of G.O.D H.O.P", through Buy Freedom. The album consists of 17 tracks. 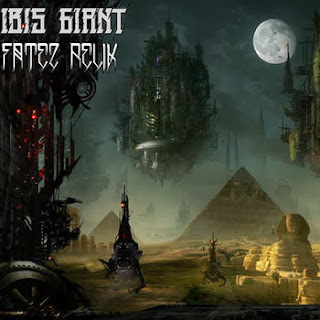 Ibis Giant - Fatez Relik (2013) Out now! Ibis Giant aka Morbski aka Naja Gemini releases his brand new EP, entitled "Fatez Relik", through Revolt Motion Recordings . The EP consists of seven tracks, entirely produced by Aspect. 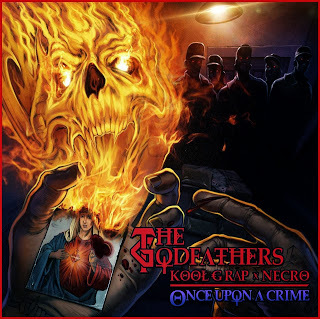 The Godfathers (Kool G Rap & Necro) - Once Upon A Crime (2013) Out now! 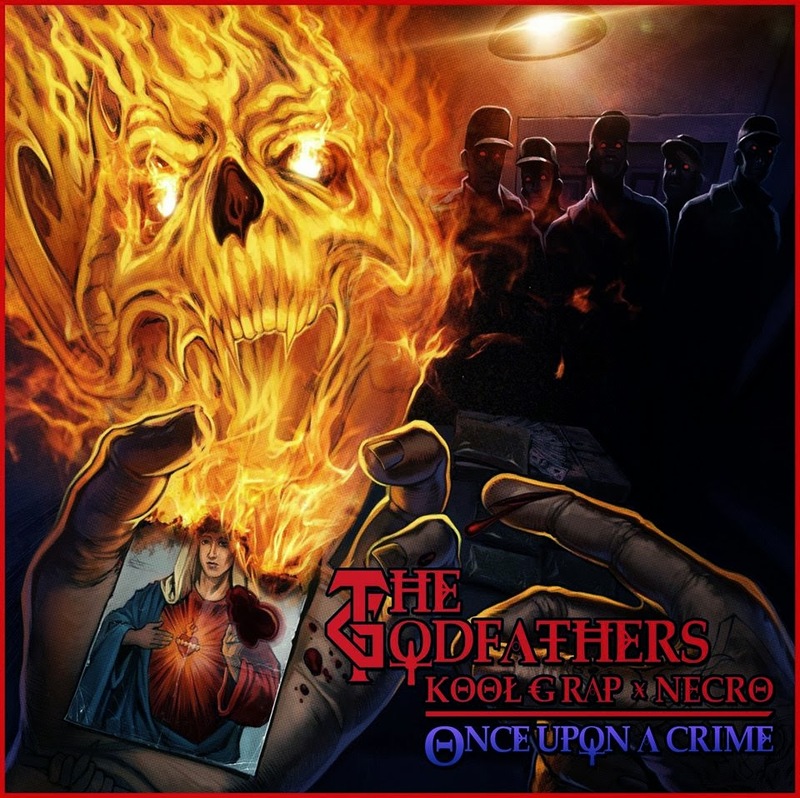 Legendary Kool G Rap and Necro releases their highly anticipated album as The Godfathers, "Once Upon A Crime", through Psycho+Logical-Records. The album consists of 18 tracks, and offers guest appearances from artists such as: Mr. Hyde. Entirely produced by Necro. 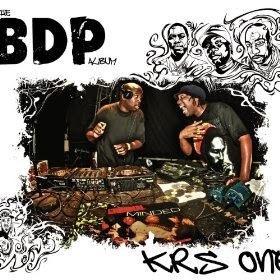 KRS-One W/ Kenny Parker - The BDP Album (RE-ISSUE) (2013) Out now! KRS-One & Kenny Parker releases their brand new album, entitled "The BDP Album", through 682 Records. The album consists of 14 tracks, and offers guest appearances from artists such as: Jesse West, Channel Live, and Inyang Bassey. Produced entirely by Kenny Parker. Dead Celebrity Status - The Throwaway Kids (2013) Out now! 682 Records. The album consists of 12 tracks, and offers guest appearances from artists such as: Bea, D-Sisive, and Mag-T. Productions from: Fairchild, Dead Celebrity Status, and Claude Rekka Demers. Lord Gamma - Dark Apprentice Instrumentals (2013) Out now! Lord Gamma releases his brand new instrumentals album, entitled "Dark Apprentice". The album consists of nine tracks. Entirely produced by Lord Gamma. Observant & DeeAre - Observant Meets DeeAre (2013) Out now! 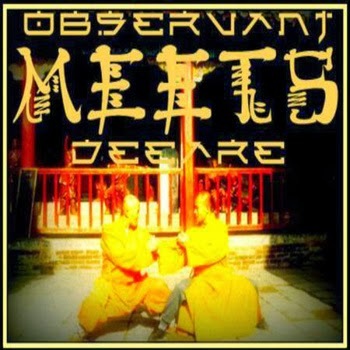 Observant & DeeAre is current with their brand new collaborations album, entitled "Observant Meets DeeAre", released through Revolt Motion Recordings. The project consists of Side A (Observant) and Side B (DeeAre). Entirely produced by Observant and DeeAre. 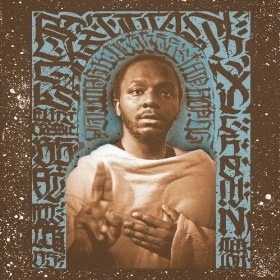 Denmark Vessey & Scud One - Cult Classic (2013) Out now! Denmark Vessey & Scud One releases their brand new album, entitled "Cult Classic", through Dirty Science. The album consists of 16 tracks, and offers guest appearances from artists such as: Guilty Simpson, Quelle Chris, and Scud One. Entirely produced by Scud One. 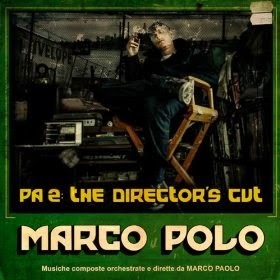 Marco Polo - PA 2: The Director's Cut (Port Authority 2) (2013) Out now! Marco Polo releases his brand new album, entitled "PA 2: The Director's Cut (Port Authority 2)" through Soulspazm Records. The album consists of 18 tracks, and offers guest appearances from artists like: A.G. of D.I.T.C., Big Twins aka Twin Gambino of Infamous Mobb, Blaq Poet of Screwball, Breeze Brewin of Juggaknots, Celph Titled of Demigodz & Army Of The Pharaohs, DJ Linx, DJ Premier of Gang Starr, DJ Revolution, DJ Romes of Lootpack, Dion Jenkins, F.T., Gangrene (Alchemist & Oh No), Hannibal Stax, ILL Bill of La Coka Nostra & Non Phixion, Inspectah Deck of Wu-Tang Clan, Invincible, Kardinal Offishall, King Tee (King T), Large Professor of Main Source, Lil Fame of M.O.P., MC Eiht, Malcolm and Martin (Styliztik Jones & KB iMean), Masta Ace, Michael Rapaport, Nature, O.C. of D.I.T.C., Organized Konfusion (Pharoahe Monch & Prince Po), Panchi of NYGz, Posdnuos of De La Soul, Rah Digga, Reach, Reggie B, Shylow of First Division, Slaine of La Coka Nostra, Styles P of D-Block, Supastition, Talib Kweli of Black Star & Reflection Eternal, The Doppelgangaz (Matter Ov Fact & EP), The Last Emperor, and Tragedy Khadafi. 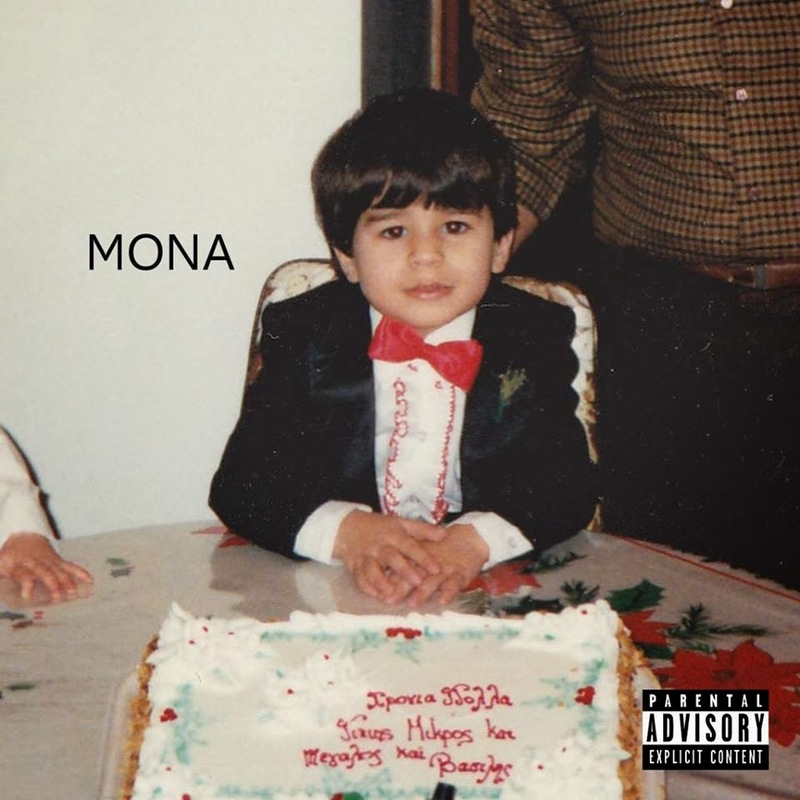 Mona - Intro EP (2013) Out now! Mona released his debut EP, entitled "Intro", on November 05, 2013. The EP consists of five tracks, and offers guest appearances from artists such as: Bianca Rosa De Luca. Do not sleep on this EP. So much talent in this project, and if you are a true fan of hard hitting bars of truth and philosophical deep tracks, make sure to check it out. Hip Hop is alive! No Bird Sing (Joe Horton, Graham O'Brien, & Robert Mulrennan) - Definition Sickness (2013) Out now! 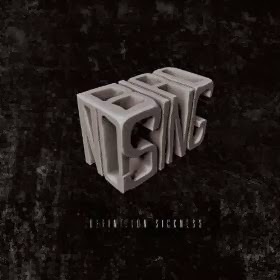 No Bird Sing (Joe Horton, Graham O'Brien, & Robert Mulrennan) releases their brand new album, entitled "Definition Sickness", through Strange Famous Records. The album consists of 14 tracks, and offers guest appearances from artists like: Chastity Brown, Aby Wolf, James Diers, Kristoff Krane, Crescent Moon of Kill The Vultures, Adam Svec, Molly Dean, Sadistik, and Sage Francis. Productions from: Graham O'Brien of No Bird Sing, Robert Mulrennan, and Joe Horton of No Bird Sing. 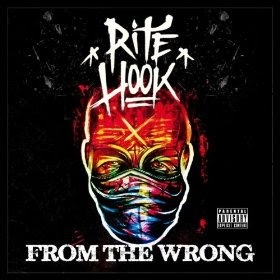 Rite Hook - From The Wrong (2013) Out now! 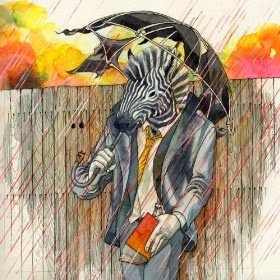 Rite Hook releases his brand new solo album, entitled "From The Wrong", through Leedz Edutainment. The album consists of 15 tracks, and offers guest appearances from artists such as: Action Bronson, Vinnie Paz of Jedi Mind Tricks & Army Of The Pharaohs, Madchild of Swollen Members, Jaysaun of Kreators & Special Teamz, and Stu Cat. Productions from: Tha Dom Benedetto, Rob Whitaker, C-Lance, Lu Balz, Teddy Roxpin, C.G. Productionz, and Matty Trump. 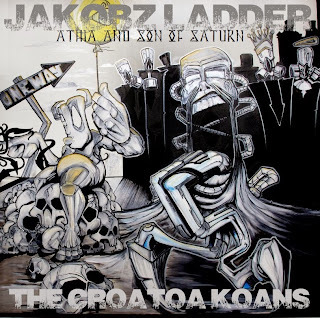 ATMA & Son of Saturn - Jakboz Ladder Vol. 1: The Croatoa Koans (2013) Out now! "Jakobz Ladder Vol. 1" Is here! ATMA & Son of Saturn teams up to give you a brand new full-length album, 16 tracks, which offers guest appearances from artists such as: Lone Ninja of Twin Perils. 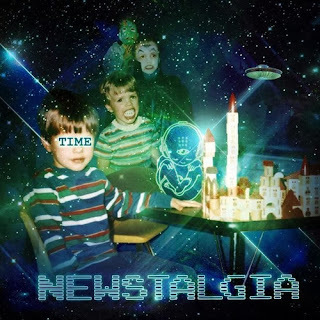 Time - Newstalgia (2013) Out now! Time releases his brand new full-length album, entitled "Newstalgia", through Dirty Laboratory. The album consists of 18 tracks, and offers guest appearances from artists like: Katie Gold, Kit Richardson, K. Raydio, Lonnie 'Pops' Lynn, Maudlin Magpie, Giuseppe, Xiu Xiu, Chloe O, Rob Miles, Chris Barron, Jason Horodyski, Kate Warner, and Nonnahs. 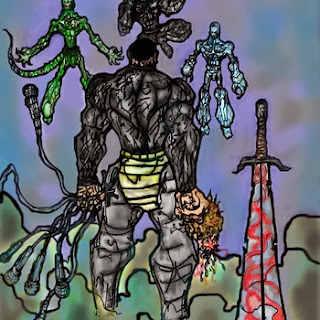 Productions from: Akira The Don, Torley, Budo, Giuseppe, Tall City, Satyre, Jake One, Factor, Man Mantis, Time, IG88, Ephelant, Doctype, and A Thousand Vows. Louis Logic - Look On The Blight Side (2013) Out now! Louis Logic releases his brand new album, entitled "Look On The Blight Side", through Fake Four Inc. The album consists of 10 tracks, entirely produced by Louis Logic himself. 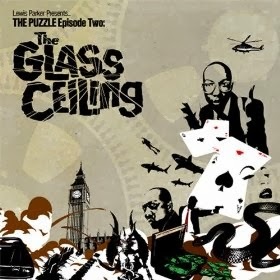 Lewis Parker - The Puzzle Episode Two: The Glass Ceiling (2013) Out now! Lewis Parker releases the long awaited - Episode 2 of the Puzzle - "The Glass Ceiling", through KingUnderground Records and The World Of Dusty Vinyl. The album consists of two discs (14 & 15 tracks on each) and offers guest appearances from artists such as: Pings, Jacky Danz, T.R.A.C., Zu, Shabaam Sahdeeq of Polyrhythm Addicts, Yah Zeed Divine, Sam Hill, Mista Spyce, Eastkoast, Ade Something, and Sadat X of Brand Nubian. Entirely produced by Lewis Parker. 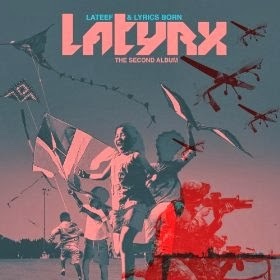 Latyrx (Lateef The Truth Speaker & Lyrics Born) - The Second Album (2013) Out now! Latyrx (Lateef The Truth Speaker & Lyrics Born) releases their brand new album entitled "The Second Album", through Latyramid Inc. The album consists of 13 tracks, and offers guest appearances from artists like: Zion I (Zumbi aka Zion & Amp Live), Forrest Day, Busdriver, 1-O.A.K., Joyo Velarde, The Gift of Gab of Blackalicious, Future People, and Corey Glover Living Colour. Productions from: Jel of Themselves, 13 & God & Subtle, Amp Live of Zion I, Forrest Day, tUnE-yArDs, Antonionian aka Jordan Dalrymple of 13 & God & Subtle, G-Koop, O-Man, Adam Theis of The Shotgun Wedding Quintet, Lyrics Born of Latyrx, Chris Funk of The Decemberists, Future People, Kaveh Rastegar, Jeremy Ruzumna, and The Bangerz. Crystal Antlers - Nothing Is Real (2013) Out now! 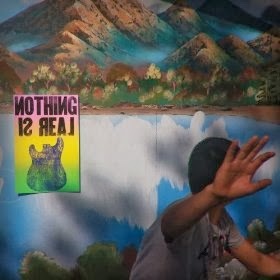 "Nothing Is Real", the brand new album release by Crystal Antlers, released through Innovative Leisure Records. The album consists of 11 tracks, entirely produced by Crystal Antlers. 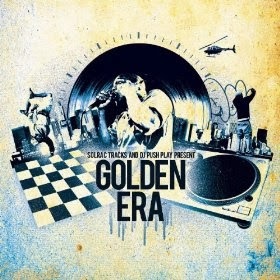 Solrac Tracks & DJ Push Play Present - Golden Era (2013) Out now! Solrac Tracks & DJ Push Play Present... 'Golden Era', the brand new album consists of 18 tracks, and offers appearances and productions from artists like: Rated, Solrac Tracks, John Robinson aka Lil Sci of Scienz Of Life, Myka 9 of Freestyle Fellowship, Moka Only, Substantial, Bisco Smith aka Bisc1, DJ Z, Rakaa Iriscience of Dilated Peoples, Wordsworth, Coree Van Bebber, Prince Po of Organized Konfusion, The Roze, Sober Sobey, J-Live, Copywrite, Dame Doo, Himself, Tabernacle MC'z, Future 5000, Bunzy, Mr. Lif of Perceptionists, Kev Brown, Kruse, Very, Nic Classic, Aceyalone of Freestyle Fellowship, and Sunspot Jonz of Living Legends. Released on Big East Lanese and Four Finger Distro. Blunted Sultan - Carrion Flower (2013) Out now! Blunted Sultan releases his brand new instrumentals album, entitled "Carrion Flower", through Cane Corso Records. 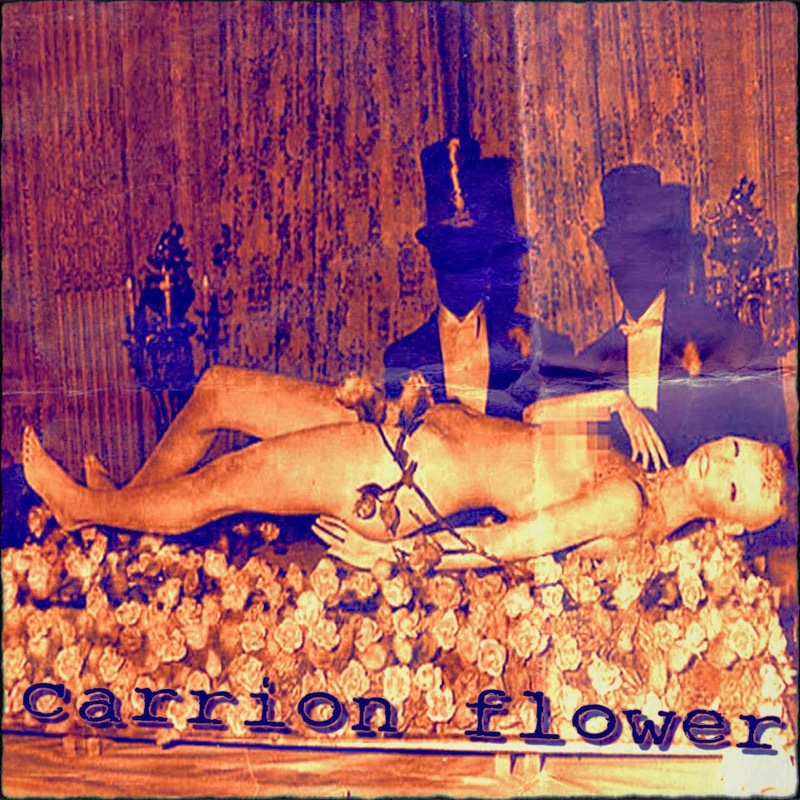 "Carrion Flower" is actually a previously unreleased album, to build steam for the forthcoming album by Boxguts & Blunted Sultan "Salt For Slugs". The album consists of 16 instrumental tracks, entirely produced by Blunted Sultan. 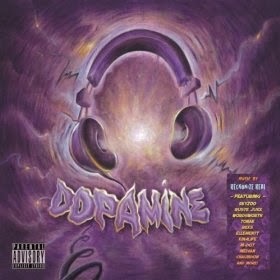 Reckonize Real - Dopamine (2013) Out now! New albm from Reckonize Real, entitled "Dopamine" released through Real Deff Music Group. The album consists of 15 tracks, and offers guest appearances from artists such as: Skyzoo, Ruste Juxx, Access Immortal, DJ Family Tyz, Noah King, Nieve, KIN4LIFE, Torae, M-Dot, Tribeca, Reks, Mayhem, ToneDeff CuTz, Ellementt, Wordsworth, Crimdella, Ozay Moore aka Othello of Lightheaded, Jahshua, Median, Kemizt, Chaundon, Cymarshall Law, King Magnetic of Army Of The Pharaohs, E-Fluent, and MyneFrame. Entirely produced by Reckonize Real. 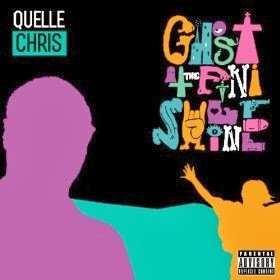 Quelle Chris - Ghost At The Finish Line (2013) Out now! Quelle Chris releases his brand new album, entitled "Ghost At the Finish Line", through Mello Music Group. The album consists of 13 tracks, and offers guest appearances from artists like: Jimetta Rose, Denmark Vessey, Alchemist, Guilty Simpson, Black Milk, MarvWon, Fuzz Scoota, House Shoes, and Mosel. Productions from: Chris Keys, Oh No, Quelle Chris, Denmark Vessey, Knxwledge, and XXXXXXX.